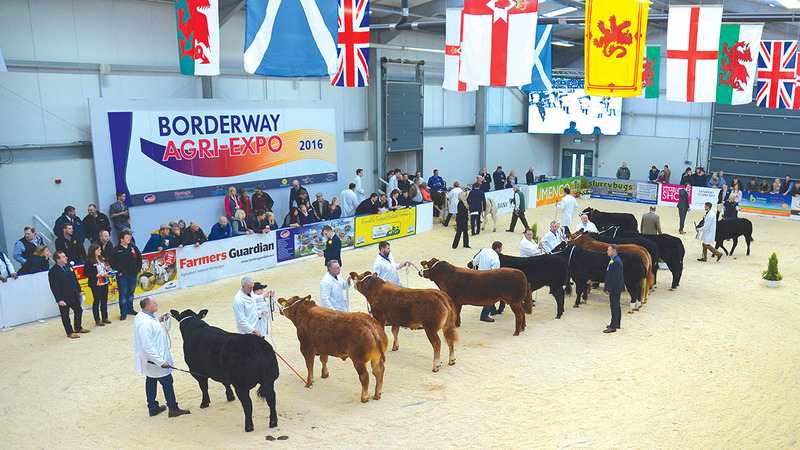 Now in its 11th year, Borderway Agri-Expo, which will be held on November 3 at Borderway Mart, Carlisle, has gained popularity year-on-year. This year it boasts a prize fund of £17,000, and in the region of 950-head of cattle and sheep being shown. All sectors of the livestock industry will be represented across the 160 trade stands, each showcasing their latest products and offering expert advice and hospitality. Livestock being exhibited highlights the quality of British sheep and cattle and the UK’s high standards of care in animal welfare and husbandry. Aberdeen-Angus Winter National Show, including Walkers Shortbread Aberdeen-Angus herd of the year competition. Border British Blue calf show. Beef Shorthorn national calf show. Harrison and Hetherington’s operations director and event organiser David Pritchard says: “Farmers must always look to the future, and this has never been more important as we are pre-Brexit. “We are in a unique period of uncertainty and, moving forward, people need to know what is happening from a wider industry perspective. “As an industry platform, the show plays a fundamental part in endorsing the success of British beef and sheep production, and the trade stands and exhibits highlight the latest commercial and pedigree breed statistics, trends and cutting edge technology. “Everyone exhibiting at Agri-Expo has one common goal: to help support livestock farmers maximise their potential in all areas.